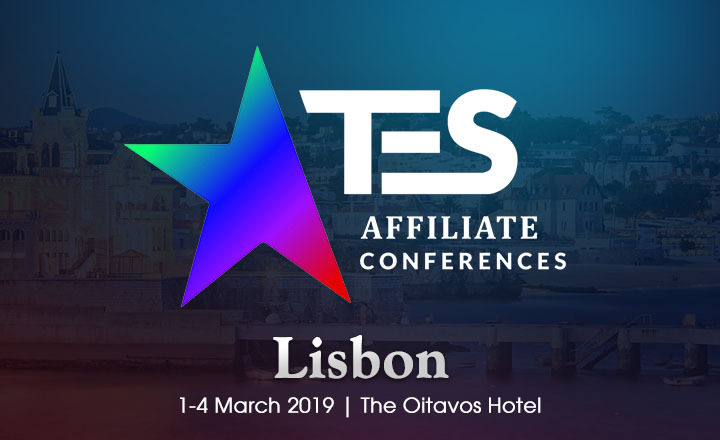 The European Summit goes back to Portugal to gather affiliates, product and service advertisers, media buyers, and publishers at the TES Affiliate Conference Lisbon 2019. This event will run from March 1 to 4 at the Oitavos Hotel in Cascais. Thousands of participants are expected to attend the four-day conference. From gaming and gambling to online entertainment and e-commerce, various sectors are invited to send their representatives to the event. Those who are from the financial, forex, nutraceutical, and health industries are also welcome to attend. All guests will be in for learning, networking, partnership, and investment opportunities. Ticket prices range from €249 to €450 per registrant. Interested parties may even check if they can avail themselves of the free pass provided to qualified affiliates. Registration is still on going.